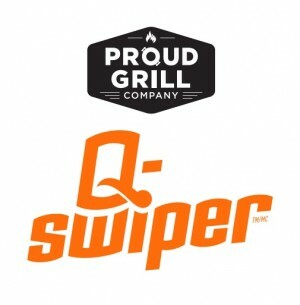 NGB Challenge- So You Think You Can Cook? 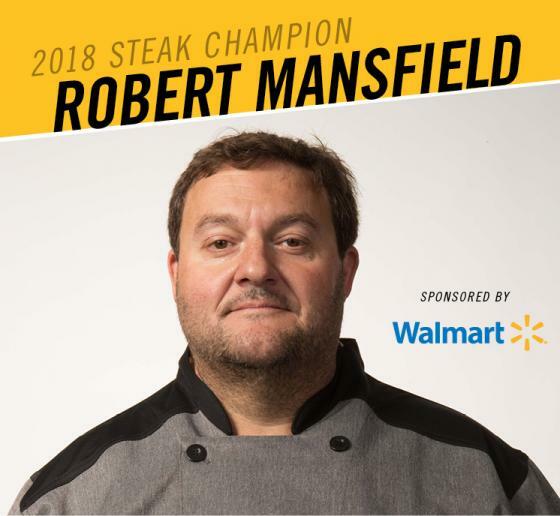 Robert Mansfield entered the World Food Championships (WFC) with only five previous steak events under his belt, proving it’s anyone's game in Food Sport! Not only was he crowned the 2018 World Invitational Steak Champion and took home $10,000, he now has a chance at WFC’s $100,000 Final Table prize purse. Why did the chicken cross the road? Don’t know? 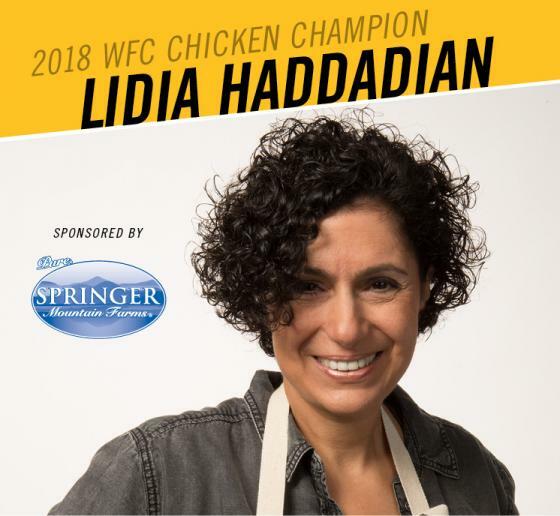 Perhaps you should consult an expert like Lidia Haddadian. 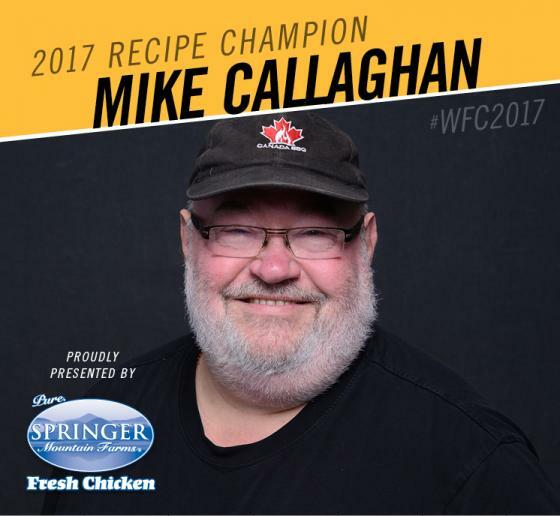 The home cook from Pasadena, California was recently crowned the 2018 World Chicken Champion at the 7th Annual World Food Championships (WFC) in Orange Beach, Alabama. 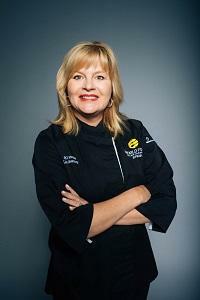 They say “patience is a virtue.” For one Memphis chef, it’s also a path to victory. 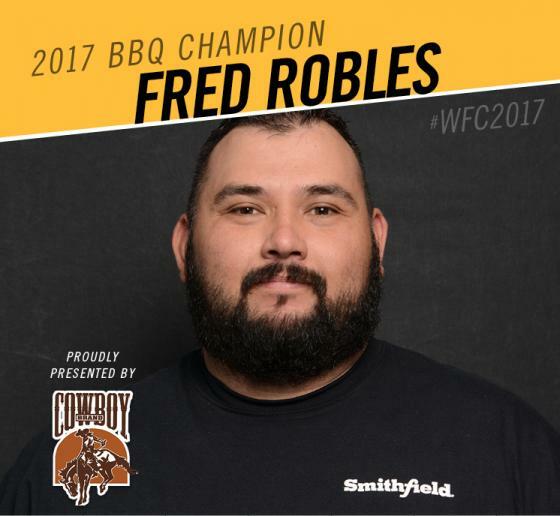 In his first appearance at the World Food Championships, Pitmaster Fred Robles of Team Rio Valley Meat advanced through the first Dual Duel BBQ Sanctioned Challenge at WFC to take home the World Barbecue Champ title. 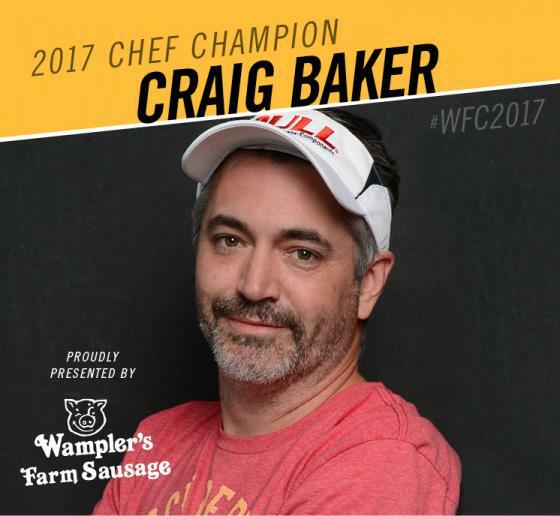 “Go big or go home” is competitor Craig Baker’s strategy when it comes to competing in the world’s Ultimate Food Fight. 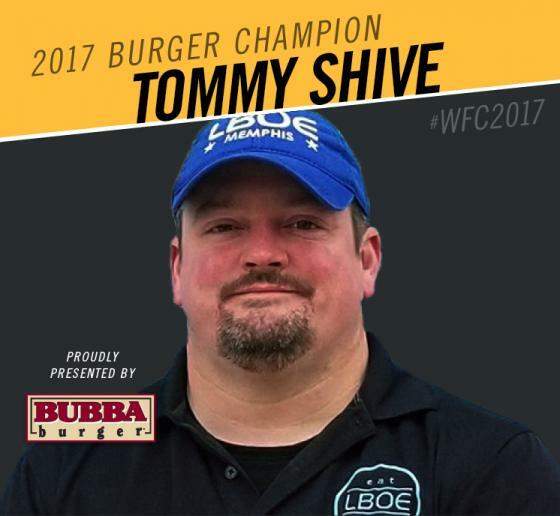 Turns out that this Indianapolis restaurant owner did both...as he took home the big prize after executing a “big game plan” in Orange Beach, Alabama, where he was awarded the title of the 2017 World Chef Champion. 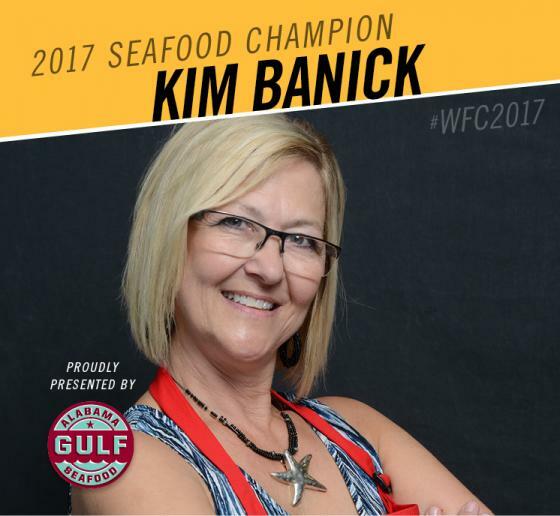 Kim Banick set out this year to represent the female home cooks on the world’s largest Food Sport stage. 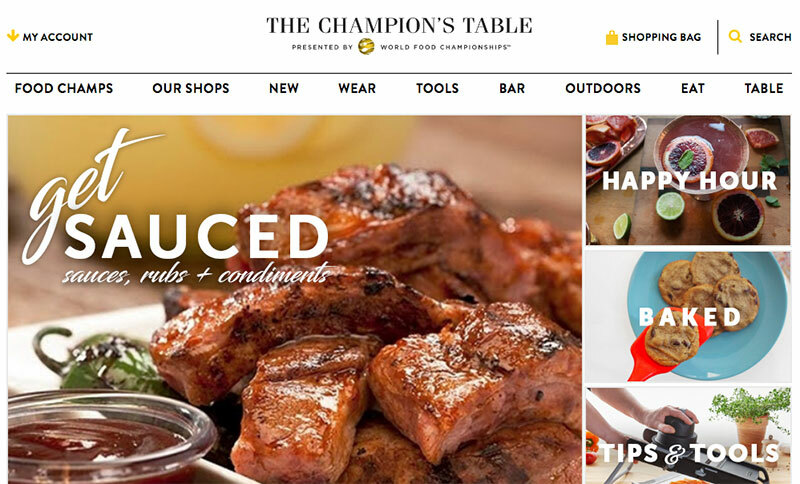 Many people question her choice of competing in a category mostly comprised of men and professional chefs, and that wasn’t missed by this multi-year competitor. 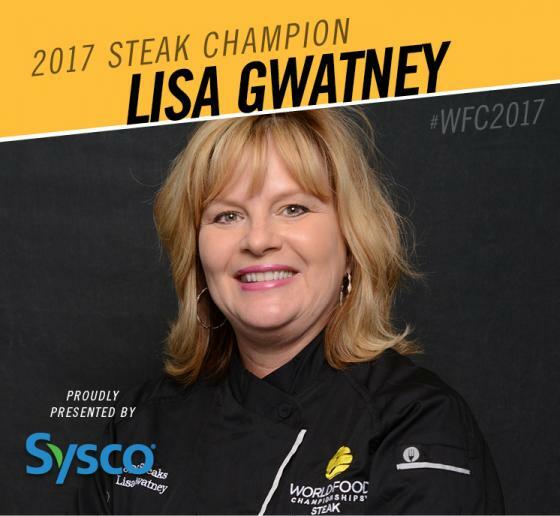 Raised in a big Italian family where food was at the heart of everything, home cook Lisa Gwatney is quite comfortable in the kitchen. 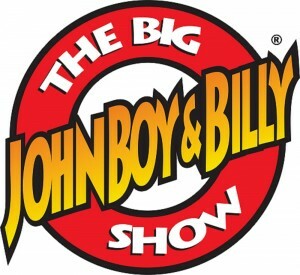 However, competing in the largest Food Sport competition proved to be quite intimidating for the Memphis, Tenn., native. So intimidating in fact, she almost didn’t compete at all. 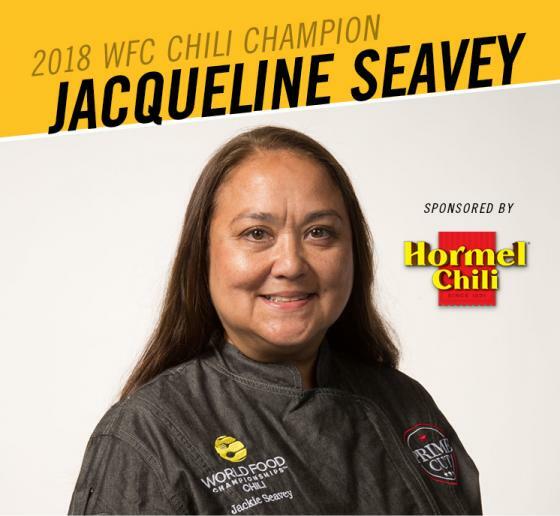 Chef Jacqueline Seavey spiced things up at the World Food Championships (WFC) in Orange Beach, Alabama, by winning over the judges’ taste buds with a non-traditional chili cuisine. 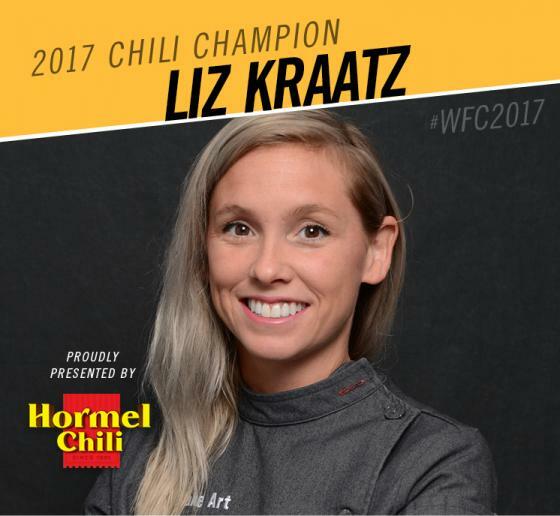 Her combination of advanced culinary skills and unique ingredients earned this Long Beach, Mississippi Chef the 2018 World Open Chili Champion title. 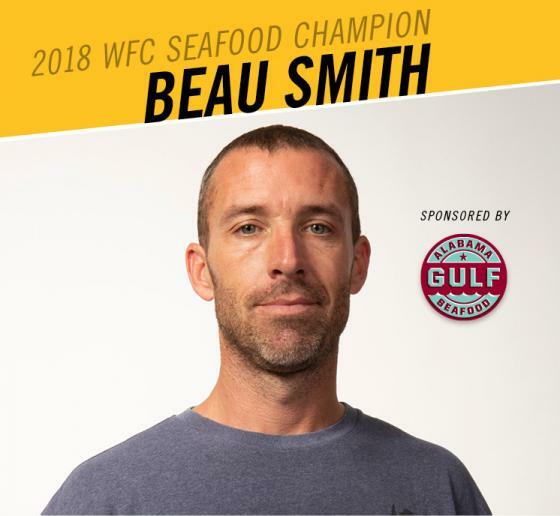 Food Sport newcomer Beau Smith reeled in a big win against a field of talented cooks to become the 2018 World Seafood Champion this past November in Orange Beach, Alabama. His winning dish titled, “Oscar la Vista baby,” earned him $10,000 and a spot at the World Food Championships’ (WFC) Final Table challenge. 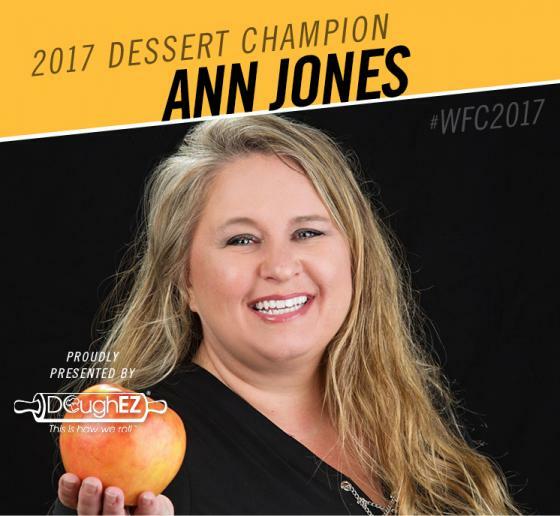 Ann Jones experienced a sweet victory at the World Food Championships last month in Orange Beach, Alabama as she took home the World Dessert Championship title. But the story doesn’t end there. In fact, it’s even richer than the prize purse that she earned in the process. Turns out that it was a family victory of the sweetest kind. It took six years, but Mike Callaghan is not complaining. 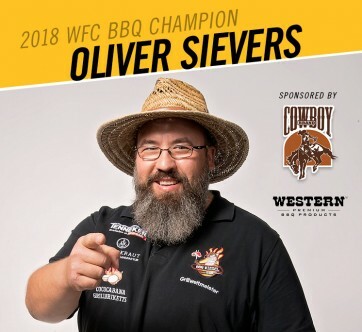 In fact, this Canadian cook — the only person to make a Top 10 appearance in all five previous championships of WFC — is now a living example of how persistence and performance truly can pay off. 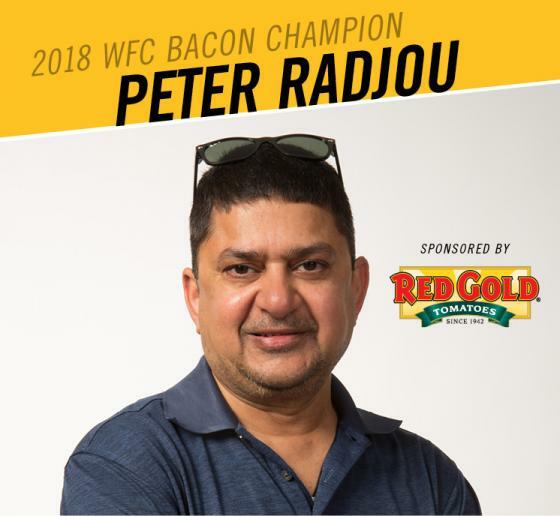 Chef Peter Radjou knows how to bring home the bacon –– $10,000 worth that is! 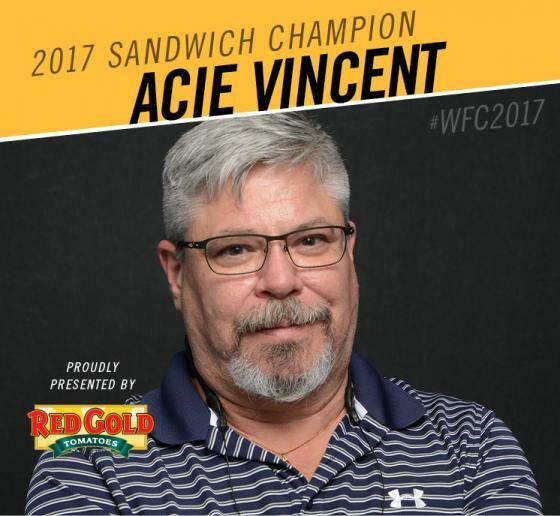 The India-native Chef took home the Bacon World Championship title with his “Acorn Squash Stuffed with Bacon and Fall Vegetables” entry at the World Food Championships (WFC), which was presented by Walmart and held Nov. 7-11 at The Wharf in Orange Beach, Ala.
With three years of World Food Championships experience under his belt, Chef Acie Vincent from Oviedo, Fla., cinched up his expectation for 2017 and set his sights on a Top Ten finish. His vision was crystal clear….in fact, it was spot on perfect. 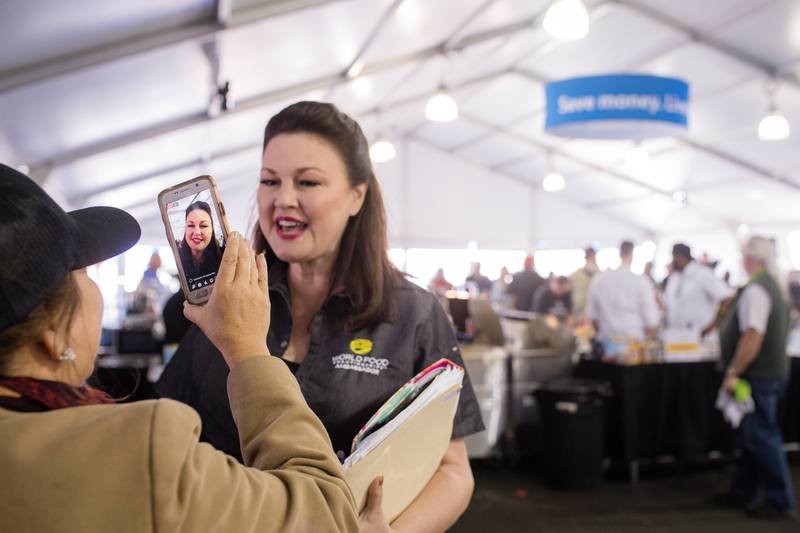 What does it take to defend a World Chili title at the World Food Championships? Apparently, it requires a major amount of commitment and consistency - and perhaps a touch of confection! Rebecka Evans from Houston, Texas, knows how to bring home the bacon, $10,000 worth that is! 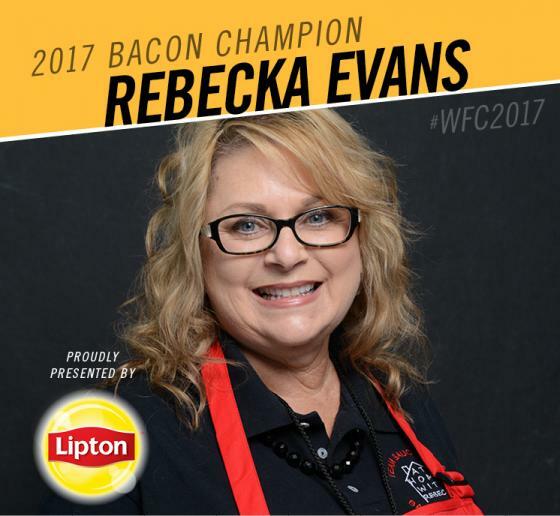 The stay-at-home mom and self-taught home cook was named the 2017 World Bacon Champion title and awarded a $10,000 prize package for her Dutch Crunch Baby Pancakes at the World Food Championships, which was held Nov 8-12 at The Wharf in Orange Beach, Ala. 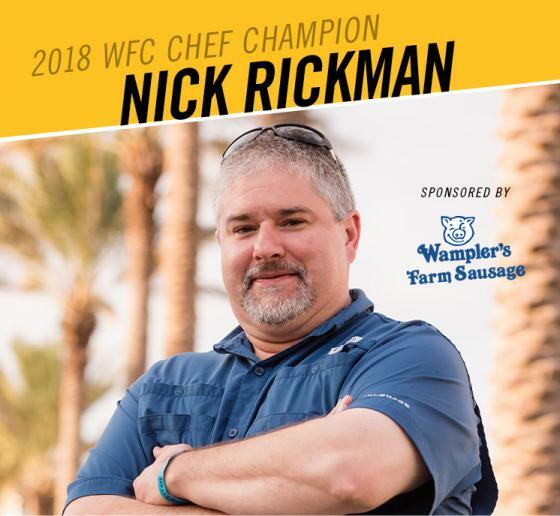 According to Chef Nick Rickman, a recipe for success at the World Food Championships (WFC) has three main ingredients: passion, persistence and focus. 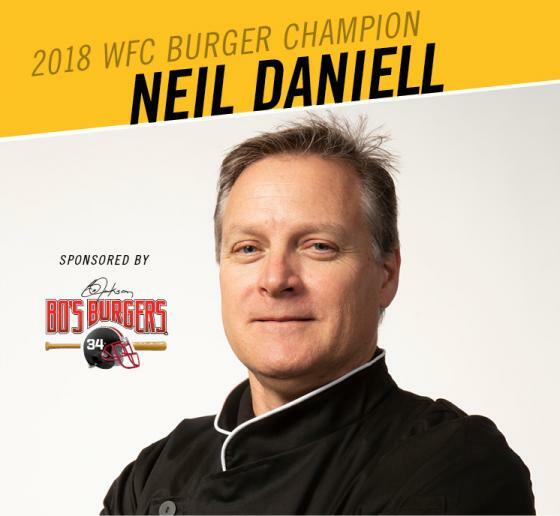 This year, Nick managed to beat out a field of talented chefs to become the 2018 World Chef Champion. His performance brought home a $10,000 check and reserved his spot to compete at WFC’s Final Table challenge being held in early 2019. 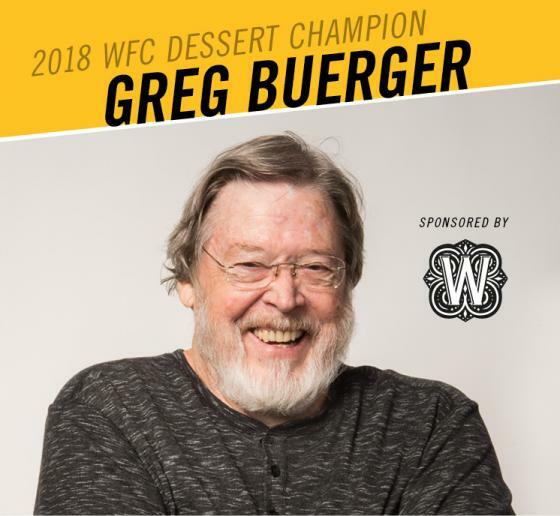 The ten champions who won their respective categories in November at WFC's main event in Orange Beach, Ala., will now convene to see who will take home the $100,000 prize purse and ultimate bragging rights as the World Food Champion. 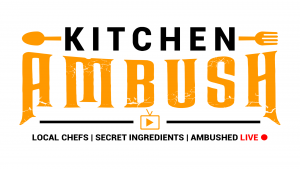 Don't miss your chance to experience the food fighting action for yourself. 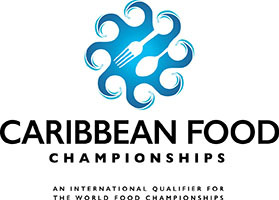 Click here to request media credentials to the biggest crowning event in Food Sport!. 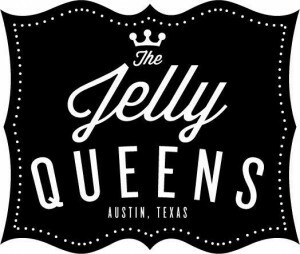 More details will be revealed soon. *Must be 18 to enter. Not valid where prohibited. 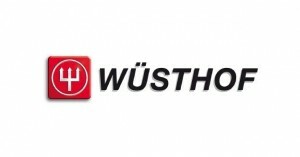 You have been entered to WIN!